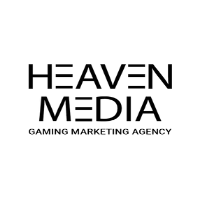 Heaven Media have been marketing agency experts in the gaming and eSports industry for over 10 years, who deliver campaigns globally. In a frequently changing and evolving market place, they help clients to promote their business and products to new and existing PC Gaming enthusiasts. They provide solutions including content creation, influencer and eSports sponsorship, event delivery, PR, advertising and beyond. Their team includes specialists from each marketing discipline with extensive personal experience of gaming as well as a profound understanding of how to motivate this new generation. Heaven Media’s team can help you create, deliver and measure marketing campaigns.